As with most things in life, food requires some sort of balances. Sometimes the lack of balance is what makes a culinary masterpiece but sometimes it is the pure order of ingredients that make a dish great. One of these recipes that require balance is Chinese Five-Spice powder. Five-Spice is a blend created from Chinese cuisine that finds perfect harmony is balancing the five major flavors: sweet, salty, pungent, bitter, and sour. It is quite the experience especially as a dressing or dry rub as we will use it here. When the spices on the chicken hit the grill, it creates a heavenly aroma. You'll no longer be thinking about the crazy to-do list you haven't started or all of the chores you've been neglecting all week. You'll be patiently awaiting the minute when the to-die-for-smelling kebobs are cooked so you can dive in. Kebabs are great because it is basically the main entree and side dishes all in one (chicken and vegetables!). So, when contemplating what to serve with these consider something simple such as a fruit smoothie or if you want a little more of a traditional side (the one you actually put on the plate) consider making a rice or pasta dish. Start by putting a combination of chicken, mushrooms, red peppers, and onions onto a kebab skewer. You can create a skewer by putting on: chicken, onion, red pepper, mushroom. Or you can come up with your own! Next, gather all of the spices and place in a spice grinder and pulse together. The spices should be fine enough to create a powder. You can also use a mortar and pestle if you do not have a spice grinder. Then, sprinkle the mixture evenly over all side of the shish kebabs. 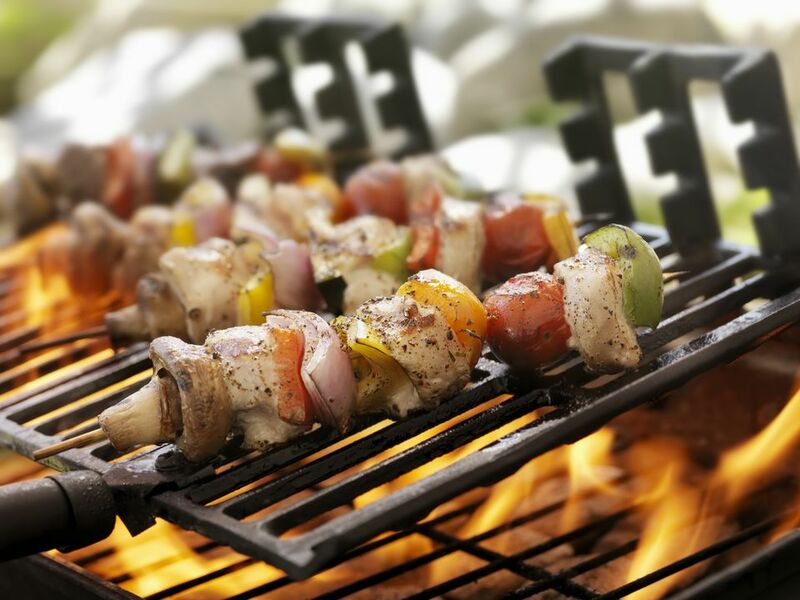 Place seasoned shish kebabs on the grill and grill for approximately 15 minutes, turning over the kebabs once to cook opposite side. Check the chicken for doneness. When chicken is cooked completely and vegetables are charred to preference, remove and allow to cool. Serve with above-mentioned side and enjoy! The Five-Spice powder can be blended ahead of time and stored in an airtight container in a cool, dark place for up to a year.